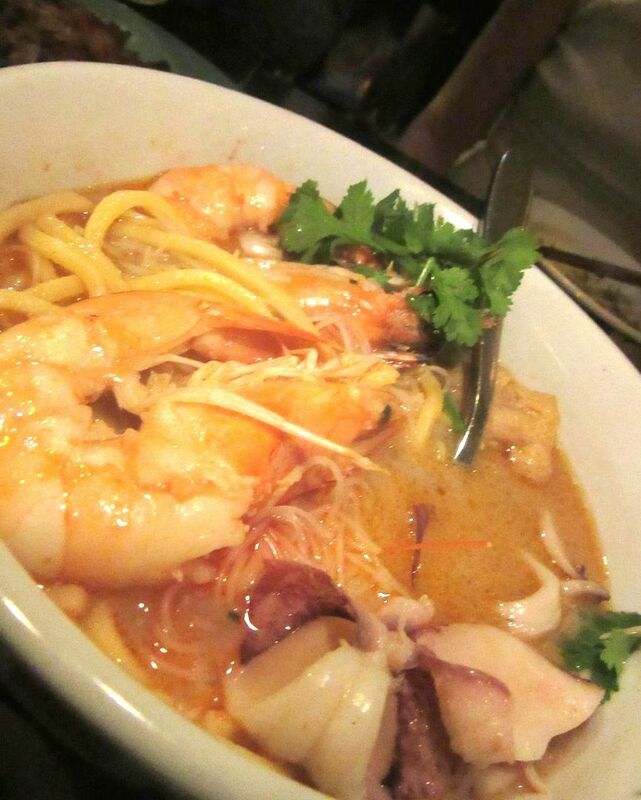 Yes, the noodles are wonderful and the head-on shrimp but oh, that ambrosial broth. I always meant to explore the street food of Singapore. My guy and I found a feast of small plates in Beijing’s Night Market. We basked in oyster scramble at food stalls in Hong Kong. And I somehow managed to lower myself to a tiny, six-inch-high stool on the sidewalk of Hanoi in an exercise of “I’ll-Have-Whatever-They’re –All-Having.” But we never got to Singapore. The sign signals a new theme – Singapore hawker street food -- at 7 Cornelia Street. Never mind. Now there is Chomp Chomp, Simpson Wong’s spicy exploration of Southeast Asian hawker food, named for one of that city’s iconic open-air collection of street stalls. He’s dishing up imported slatherings of fermented shrimp paste, lacings of five spice and coconut, and accents of Malaysia, Indonesia, China and India, delivered on melamine plates just as his mom did. 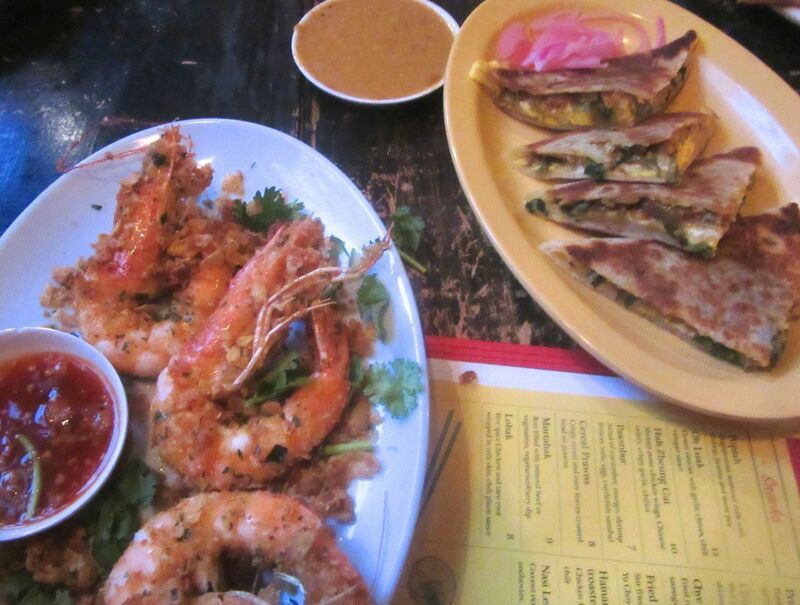 Suddenly cereal prawns with housemade chili sauce and stuffed roti cover our small corner table. 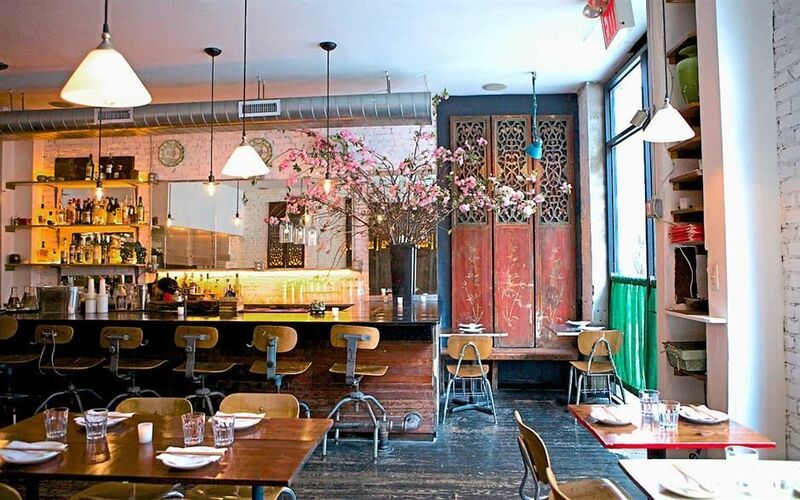 I wish I could say that seeing Chomp Chomp jam-packed and turning away stray hopefuls after a rave review in the New Yorker was all I needed to blur my longing for Wong, its brilliant forerunner in this small Cornelia Street space. Well, I’ll only wallow in gloom for a minute. 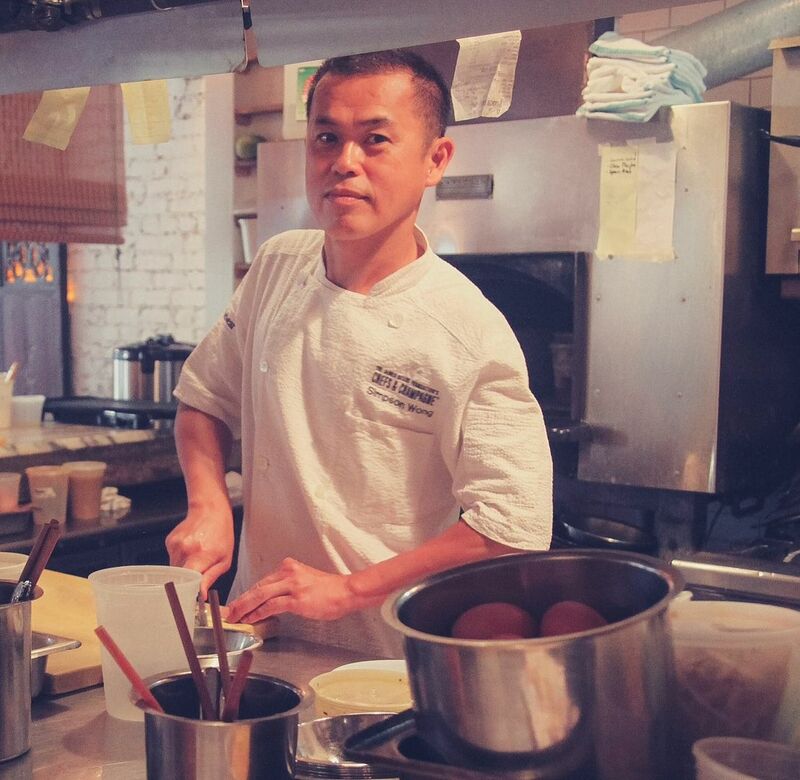 Our town’s obsessed eaters did not love Wong enough to rescue it after Hurricane Sandy struck. Wong needed a personality in charge in the dining room. Then Hurricane Sandy finished it off. Chomp Chomp is less grand and less expensive than Wong was – snacks $8 to $12, noodles and mains $13 to $16, my favorite dessert just $6. And, at least for now, it has the owner-chef himself in the kitchen, a whirling dervish, emerging now and then to greet a regular or to jolly a table that’s waited too long by delivering a dish himself. 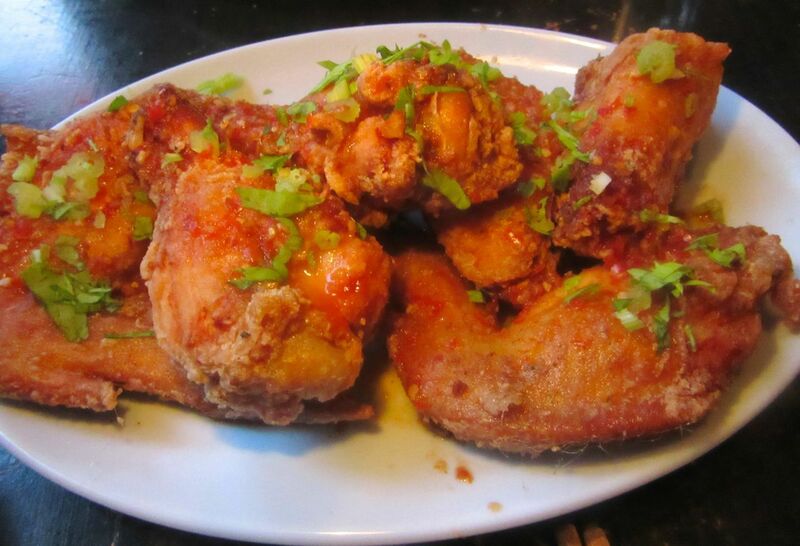 Fried chicken wings are crusty, hot and salty from fermented shrimp paste. It’s the first time I’ve arrived at this storefront not to find my table waiting. 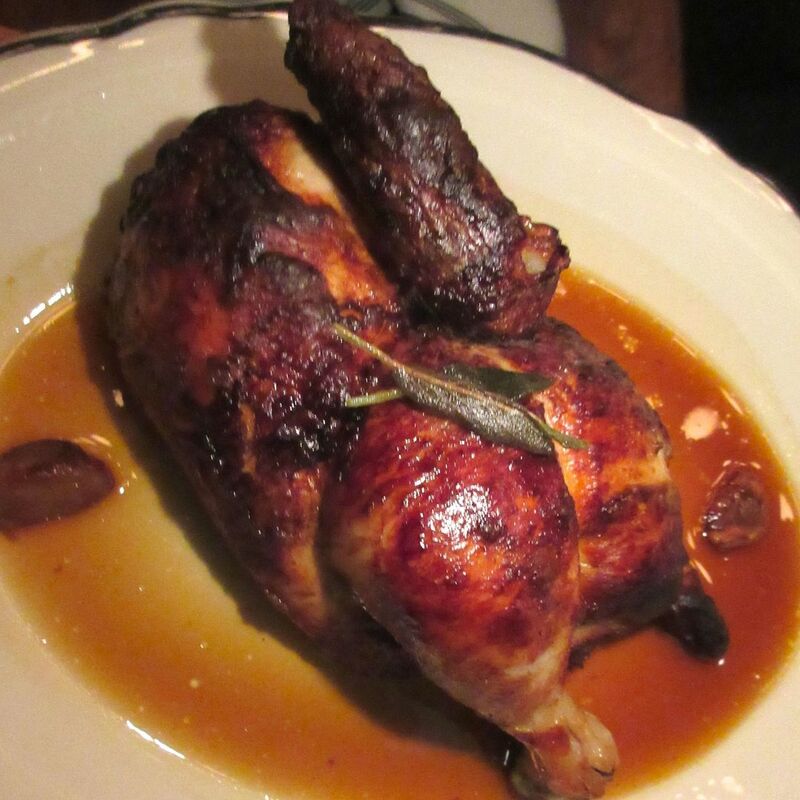 I’ve become fond of the chef, and I’m impressed by the clamor, but that doesn’t mean I’m being a good sport about it. The only table for five is caught up in its first wave of entrees. The tight little corner four-top next to the bar will have to do. If last Thursday’s crush is any clue you aren’t like to see the bar this empty. It’s what they used to call “hard seat class” on the Chinese railway. The destiny of the impoverished traveler. No padding for us. The straight-back we’re wedged against is provided by decorative wooden panels the chef brought back from his travels. In fact, the place looks good, with antique doors hung on whitewashed brick walls. Are all the chopstick wavers feeling entitled too? The place is clearly overwhelmed tonight. Could it be not enough servers? A team of mere mortals in the kitchen struggles to maintain a flow. There is only one bartender. She’s working on our drinks, my Long Shore -- with whiskey, rum and oolong tea – and my companion’s Sentosa Margarita with calamansi and chili-powdered rim. Finally. Just in time to cool the heat of temper trantrums. 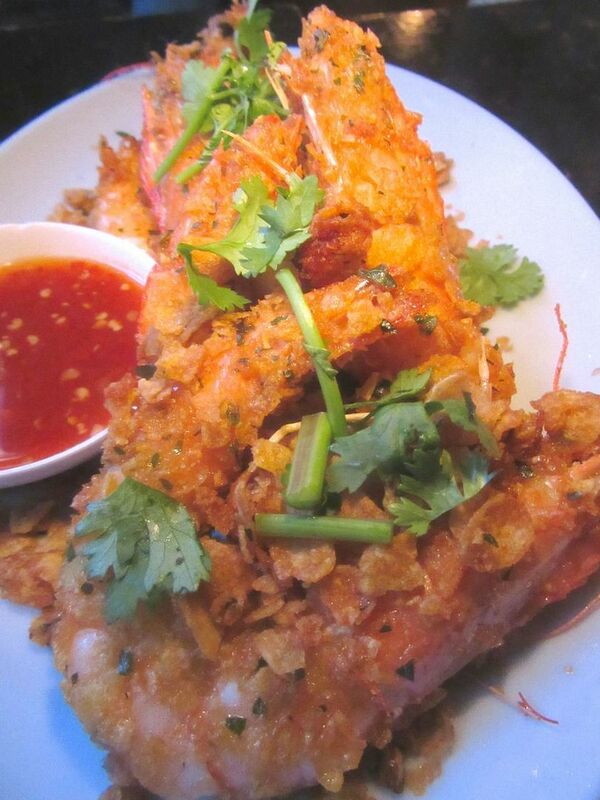 The head-on shell-wrapped giant prawns are covered with crisp cereal chips. Our Malaysian companion decides to order directly in the kitchen. Soon enough, our mouths radiate the pungent shrimp paste of the fried chicken wings and Chinese celery that arrives first, dappled with crispy garlic. I suspect we must be getting the VIP version of cereal prawns, to drag in homemade chili sauce the kitchen whips up every day. Five head-on giants cooked in the shell sprinkled with crunchy chips could not possibly come in an $8 order of cereal prawns. Singaporean summer rolls, stuffed with shrimp, jicama and snow pea, are juicy and flavorful. 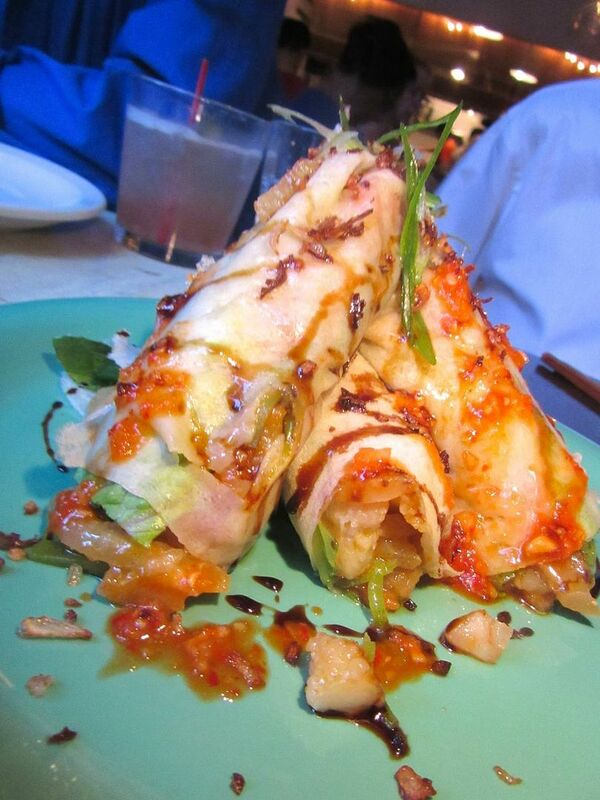 I miss the popiah, big fat luscious summer rolls stuffed with shrimp, jicama and snow peas, that was my favorite dish the night Chomp Chomp opened and friends were invited to taste. And I would have ordered the oyster omelet with garlic chive that I found a bit of a mess that night, wanting to see how it has evolved. It’s rare I’m not in charge but food is flowing so I’ll just go with the rhythm. Roti triangles can be filled with minced beef or vegetables and come with a vegetarian curry dip. 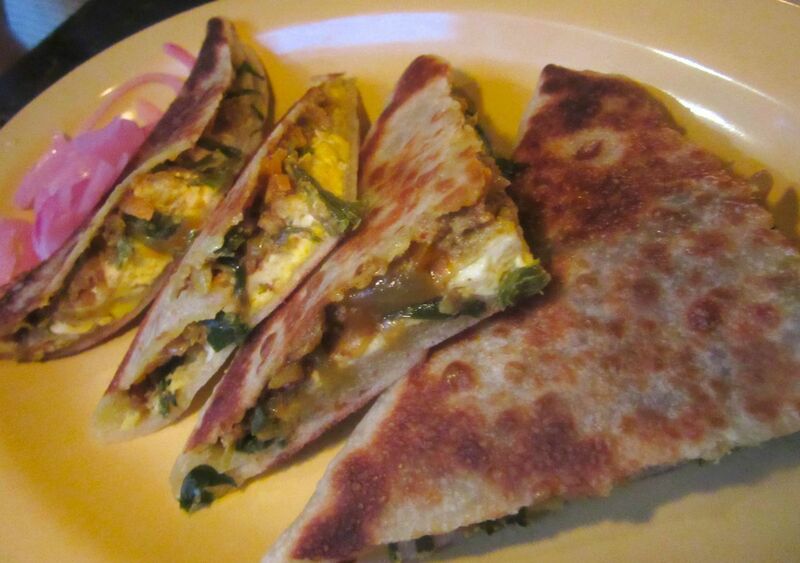 Instead, there are triangles of roti, filled with minced beef, to douse with a curry-tinged dip. 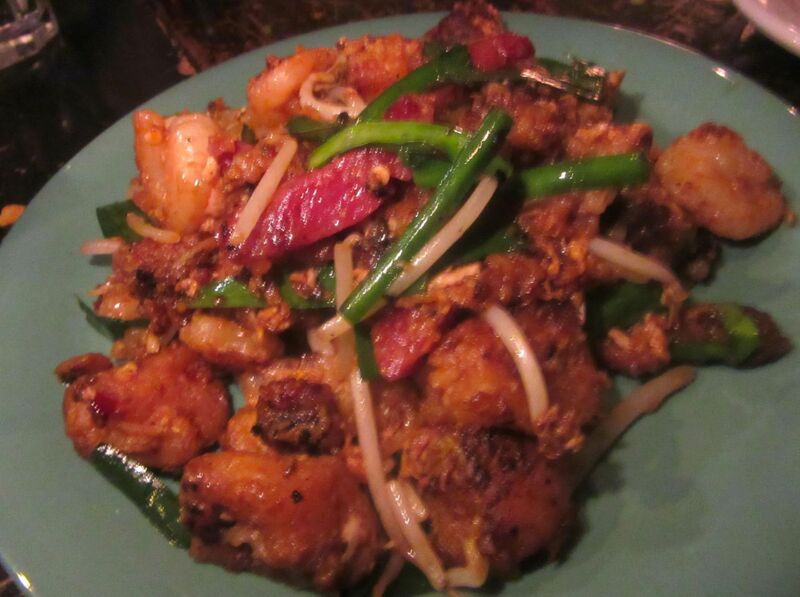 And the Chye Tao Kueh, translated carrot cake but not carrot cake at all, is a stir-fry of radish cake – which I cannot resist in any guise – mighty fine here, tossed with shrimp, Chinese sausage and chives. Don’t look for carrots: It’s actually fried daikon radish with shrimp, Chinese sausage and chive. 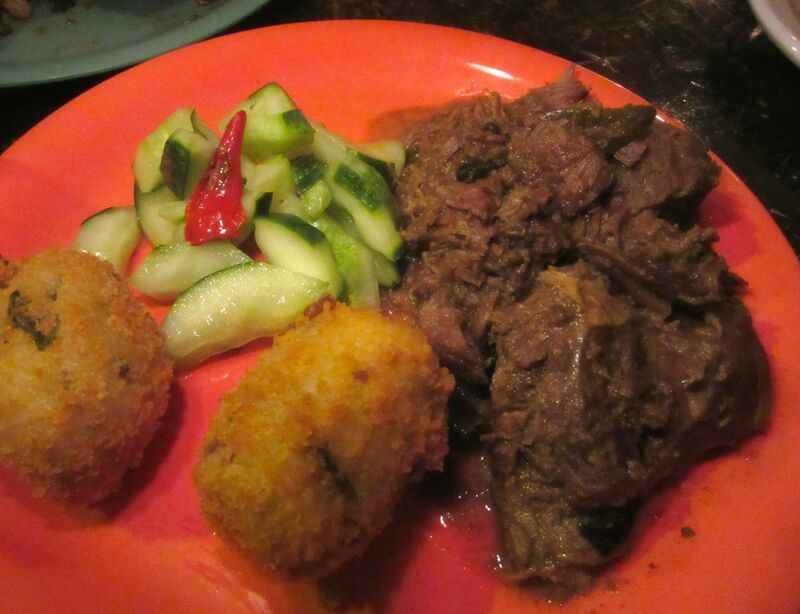 Inspired by the dry curry beef rendang that originated in West Sumatra and later spread to Indonesia and Malaysia, Wong does lamb shank in the same slow cooked way “with a million spices,” he says on the menu, and serves it with pickles and crisp potato croquettes. I long for a stronger taste of coconut. Only the hake with okra cooked in tamarind and coconut leave me totally indifferent. 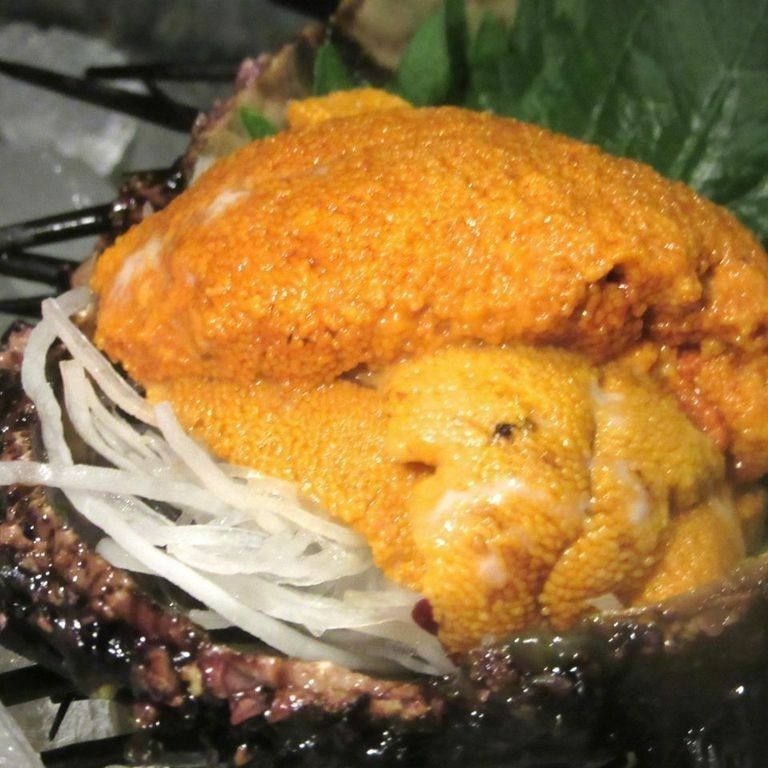 (At the family night, it was the barbeque sting ray I could decidedly live without.) But the Curry Mee, also known as Singapore Curry Laksa, Laksa makes up for hake malaise with shrimp, squid, and tofu puffs in a broth thrillingly fortified with freshly ground coconut. 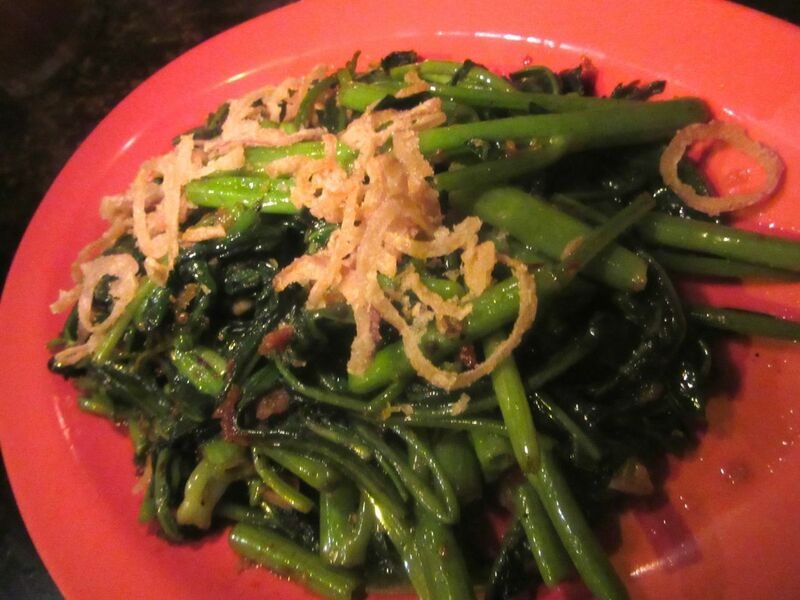 Wok fried morning glory, aka water spinach, cooked for a crunch in shrimp paste sauce, and topped with fried onion rings, is another triumph tonight. I miss the Hainanese chicken rice and probably would have ordered soy-stewed pork belly, too, but, after so many tastes -- the intense saltiness of the shrimp paste, the chili-heat, the glorious broth -- none of us can eat any more and I need to revive for dessert. Wok fried morning glory in shrimp paste sauce is water spinach by another name. Warm Asian dessert porridge rarely seduces me. 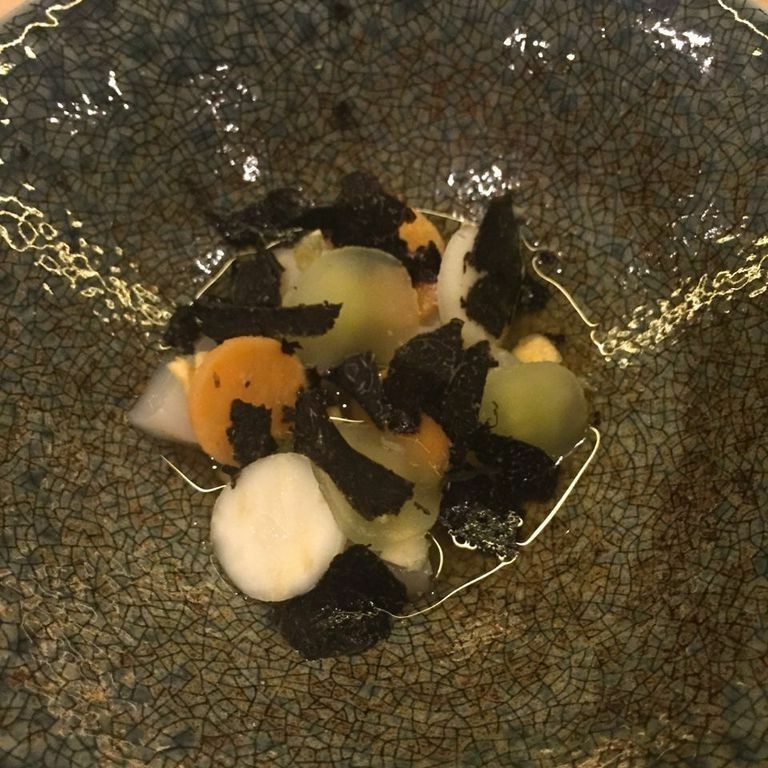 But my friend Lauren claims to be quite smitten with Chomp Chomp’s Bo Bo Cha Cha – a soup of sweet potato, taro root and tapioca pearls simmered in coconut milk. 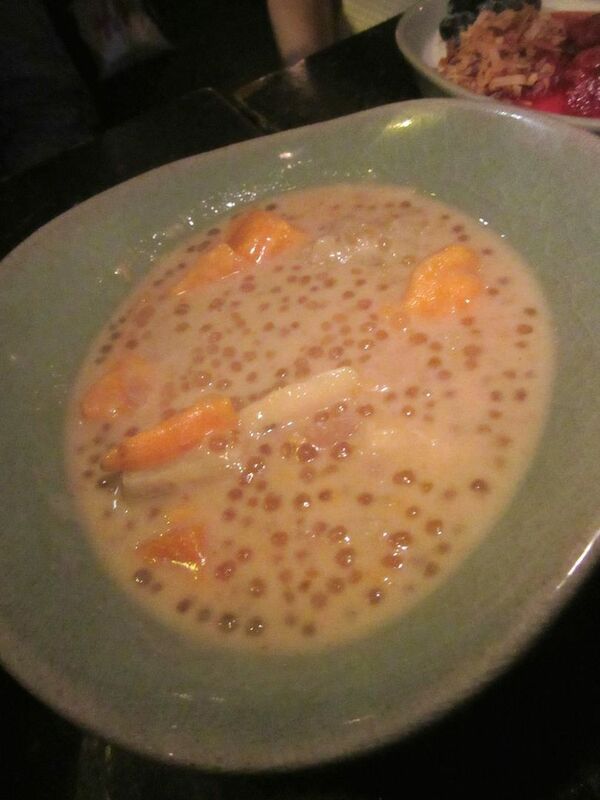 Warm sweet potato cooked with taro root and tapioca pearls in coconut milk. 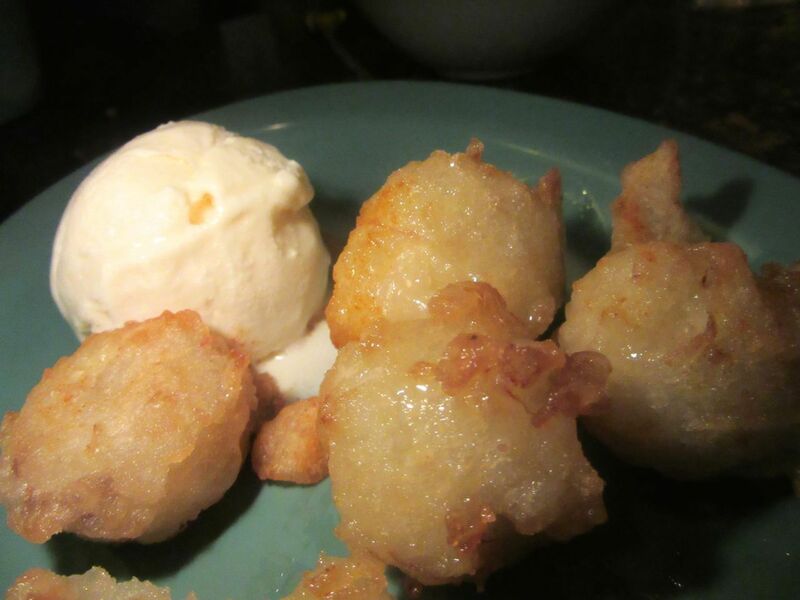 I’m hooked on Wong’s small banana fritters with chili flakes and sea salt, served with vanilla ice cream. I’m reminded of the banana fritters all Chinese restaurants used to swirl in hot syrup, then plunge into ice water, how delicious, how treacherous to the teeth. No similarity here. Luscious small banana fritters with ice cream, chili flakes and sea salt. 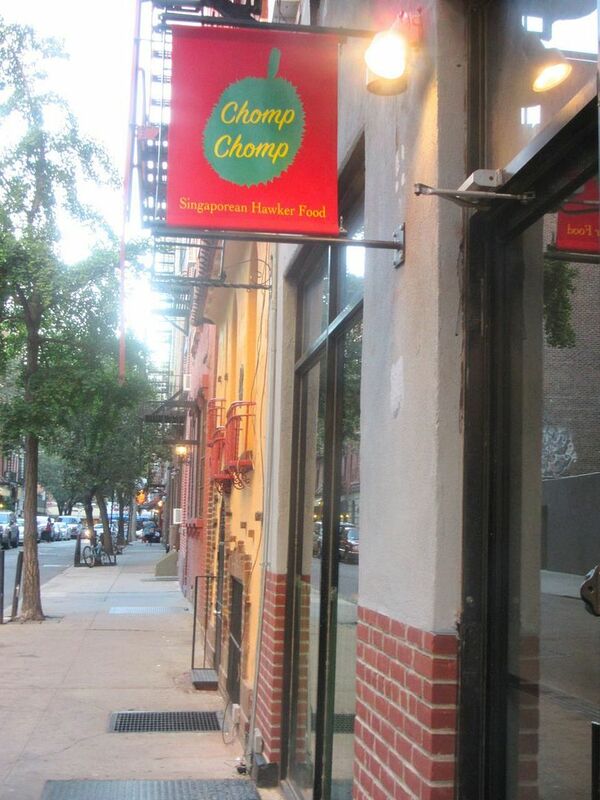 I hope the Chomp team figures out how to time reservations. I plan on coming back to taste more. Simpson may be forced to reserve just half the house and get people to line up outside or leave their name on the list, send them off for a drink somewhere nearby to wait for a phone summons when a table is free. Wouldn’t that be a Street Food coup? We shall see. 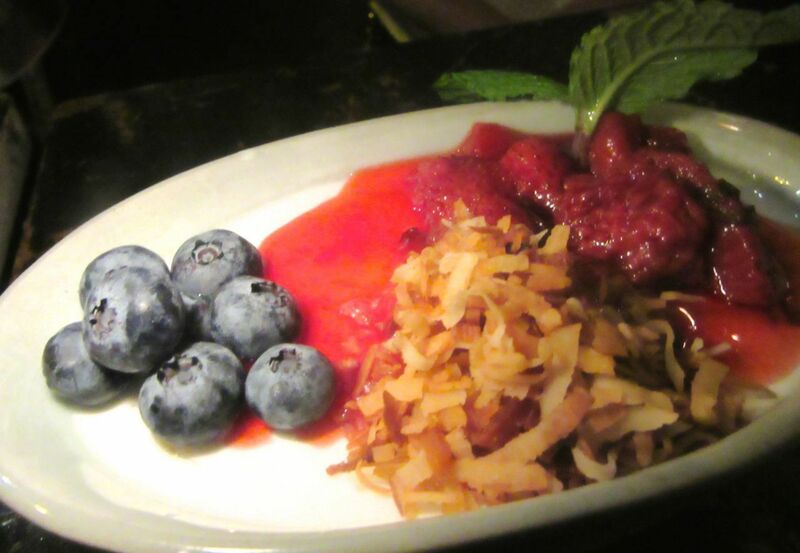 The chef improvises a berry dessert on a warm summer evening. 7 Cornelia Street. Between West 4th Street and Bleeker Street. 212 989 3399. Monday through Thursday 5:30 to 11 pm. Friday and Saturday till 11:30 pm. Sunday till 10:30 pm.